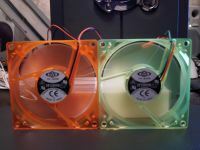 We’ve already done a review of a LED fan in the past and now we’ll be having a look on the UV reactive fans from Dynatron. They have a blue, green and orange version. Dynatron was founded in 1991 in Taiwan, since then the production of fans has increased hugely and in 1995 they’ve opened a new head office in Fremont, California. Later they also opened other branches for sales operation in Walnut, Southern California, Miami Florida, and in Toronto, Canada. 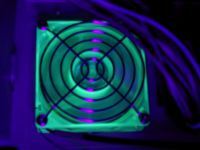 They focused to develop more state-of the-art cooling products, and as a result of that they’ve obtained a substantial growth in sales and market share! 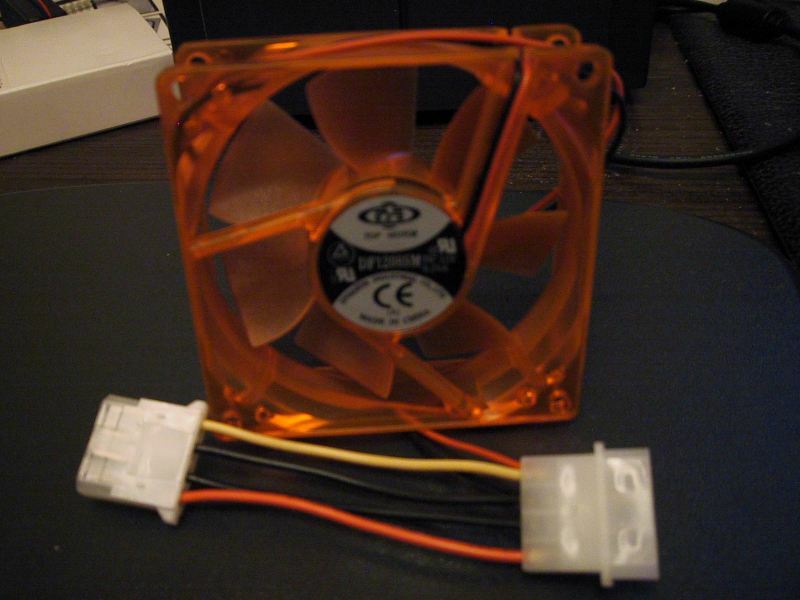 The fans arrived in a plain white box, because Dynatron at the moment only has an OEM version of the fans, but I’ve been told that they will maybe get a retail package later. 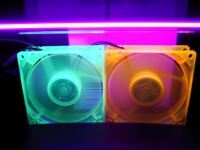 I’ve got the green and orange colored version of these UV reactive fans. They seem to have 2 versions of these fans because the green one had a Molex connector and a 3 pin connector ( for motherboard read out only, power comes from the Molex connector) the '3 pin connector' only has one wire and I must say that it gave me a fragile impression. 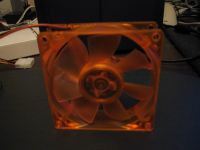 The orange fan however had a Y-Molex connector. 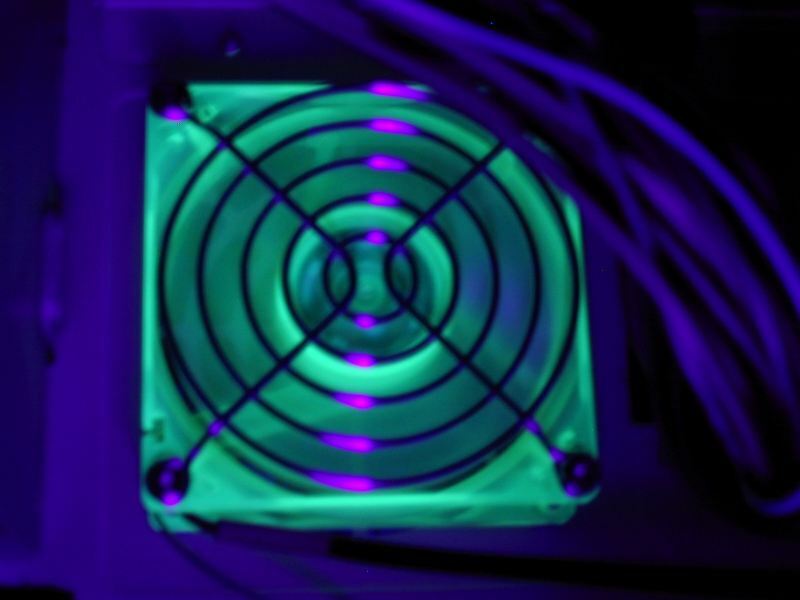 And here you see them react to UV! And a pic of the back! 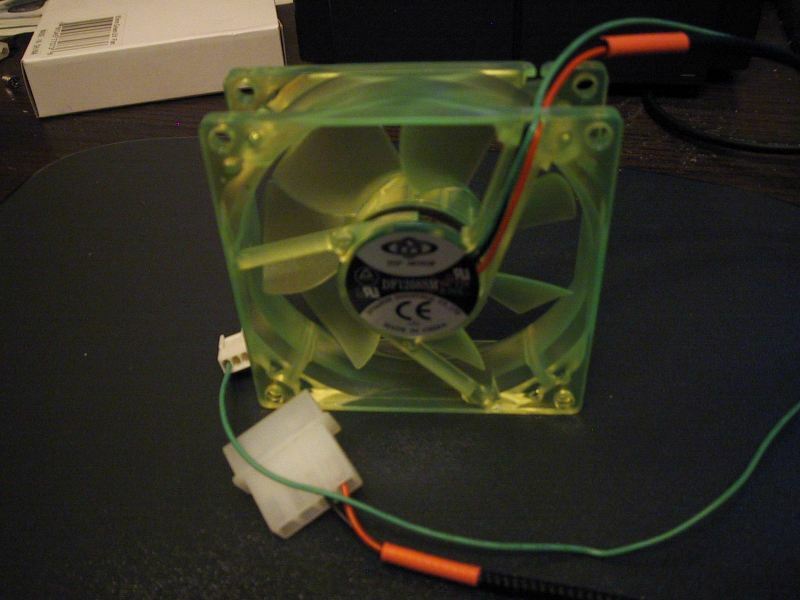 Dynatrons UV reactive fans produce about 34 CFM wich is the average amount of most 80mm fans that you will find. Now that may of course not be a good reason for you to get them, but the real reason to get these fans is because they are colored AND UV reactive! 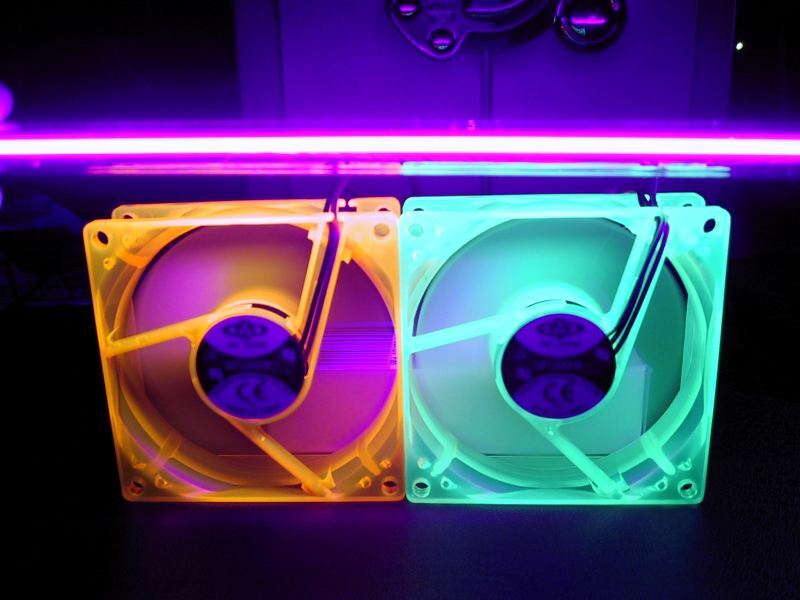 They look very nice with an UV Cold Cathode and I’m sure that they will look very cool in a case with UV Cold Cathode + UV reactive rounded cables!! 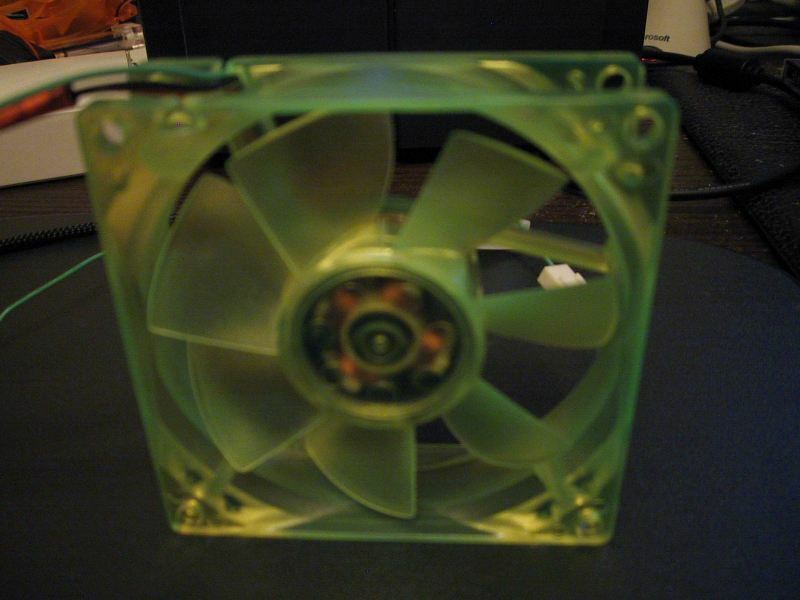 That they have a colour and not just black or clear. WTF is colorded ????????? and even more ?????? ?